The PEL 55 Prime UHD Smart LED TV is a midrange flat TV that provides great value for money. Within this affordable price range, the LED TV comes with a 4K resolution, HDR, Android 6.0, and all-round connectivity to provide a comfortable viewing experience to audiences. This smart 55-inch TV from PEL enables you to stream content from YouTube, NetFlix, and other online sources via the Android 6.0 interface. The picture quality is impressive too with good contrast, great color reproduction, and excellent sharpness. Overall, if you are looking for a budget-friendly UHD Smart TV then the PEL 55 Prime UHD Smart might be a suitable choice for you. 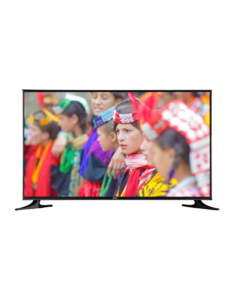 The Lowest price of PEL 55 Inch Prime UHD LED TV in Pakistan is Rs. 77,500, and estimated average price is Rs. 77,500.